To borrow from Dickens, of course. 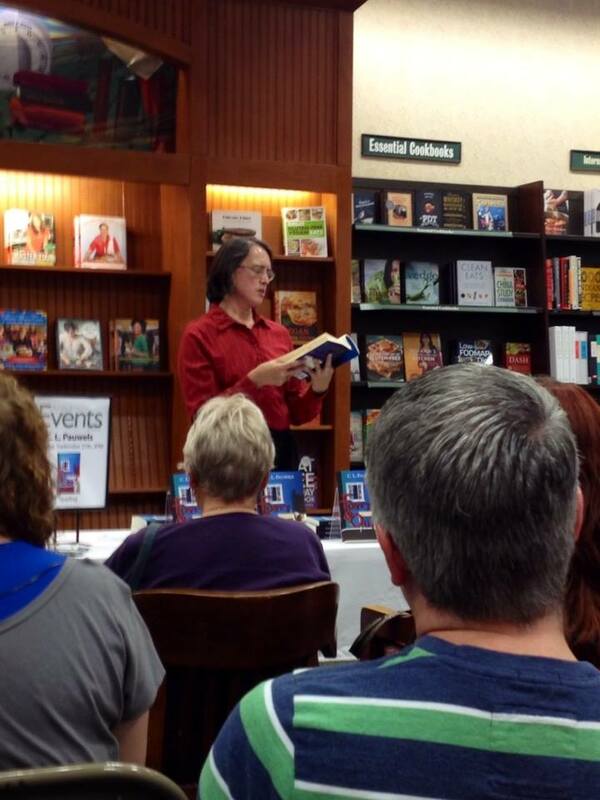 Saturday, September 27, was my official book launch/first signing for FORTY & OUT. Our local Barnes & Noble graciously hosted the event, and I’m thrilled to say we far exceeded their ten chair expectations. Store staff added more seats at least twice, and there were still folks standing! Depending on who’s counting, the final number was either 32 or 44. In honor of Jadz, I’ll go with a nice round 40. 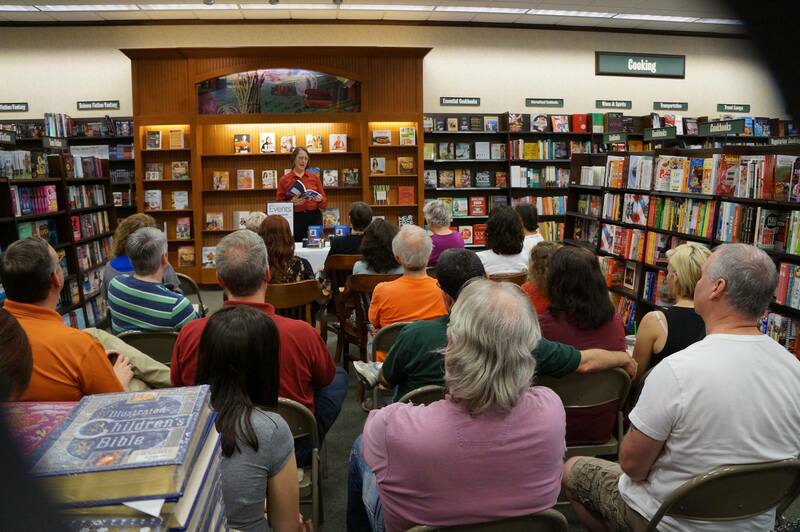 Definitely the best of times, to see so many smiling faces in the audience: friends, family, writing colleagues, even one of my students and her dad – and a few B&N customers who wandered over to see what all the fuss was about. They listened to a short reading from FORTY & OUT, asked questions about the writing process, and waited patently in line for my (hopefully) legible scrawl in the front of their copies. I’m still floating from all the loving attention! Why would I tag such a fabulous day with “the worst of times”? Two reasons: one, I’m an utter mess mentally and emotionally before any big event (even a party at our house, which came after the fun at the bookstore! ), and poor Hubby has to deal with it; and two, when we left B&N, there were no copies of FORTY & OUT left on the shelf – good for our crowd, bad for several folks who told me they came after and left empty-handed. Here’s hoping they order more for the shelf! If not, check online, or come see me Friday, October 10, 6:30 p.m., at Epic Bookstore in Yellow Springs. Lovely, intimate setting for a cozy reading and conversation. Check my Events page for other future dates. Humbled, honored, and overjoyed at the wonderful reception FORTY & OUT has received thus far. It gives me the push I so desperately needed to get back to writing Jadz’s next case! 8 Responses to It was the best of times, it was the worst of times. WOW! So excited for you! 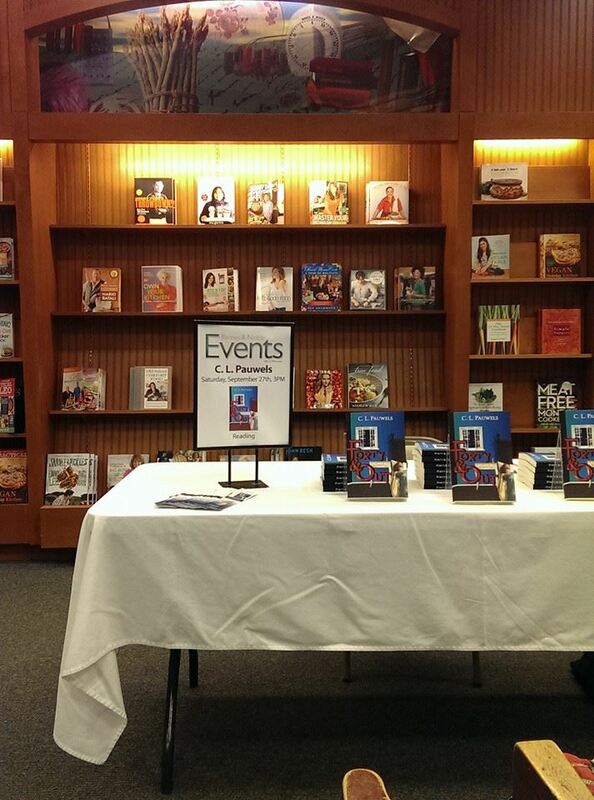 That’s a wonderful turnout for a book signing, and I wish you many more such experiences. And meetings. Ugh. Yeah. What a great turnout! Here’s hoping B & N will order more! Did they take orders? Not that I know of, Sharon, other than offering to special order. I know several folks have asked for copies since. I’m hoping they’ll decide to restock. Wonderful! Big congratulations at such a great success. You left them wanting . . . and that’s a sure sign of fame. Wish I could have been there. Someday, for sure. See. You did it! Congratulations on your success. The next time will be a snap! I still have your copy of Forty & Out sitting on my “to be read” shelf – taunting me! My own launch & promo has been eating up all my pleasure-reading time. I’m seriously looking for a read-cation this December. Thanks, Tui! It’s all been a bit overwhelming, but awesome.